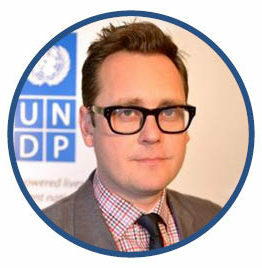 Paul Ladd joined UNDP in 2006 and is Senior Policy Adviser and Lead Author for the Post-2015 and SDGs group. Prior to this role, he headed UNDP’s the organization’s Team on the Post-2015 Development Agenda. Previously, he had led UNDP’s policy team on inclusive globalization – including trade, development finance, and migration – as well as the group that prepared UNDP’s contribution to the September 2010 Review Summit on the Millennium Development Goals. From 2008 to 2009, he provided support to the Office of the UN Secretary-General in New York on the financial and economic crisis, and the UN’s engagement with the G20. Before his New York assignment, Mr. Ladd was a policy adviser on international development for the UK Treasury, including the period building up to and through the UK’s Chair of the G8 and European Union in 2005. Prior to that, he had been Chief Economist and acting Head of Policy with the UK charity, Christian Aid; economic adviser to the UK Department for International Development for Botswana, Lesotho, Namibia, South Africa and Swaziland, and a financial adviser in the Central Bank of Guyana. Mr. Ladd received his BSc in Economics and his MSc in Quantitative Development Economics from the University of Warwick (UK).